The Eagle's Nest is now offering late evening hours on Wednesday's to accommodate community stakeholders. Applications to attend McCrorey-Liston School of Technology are available now. 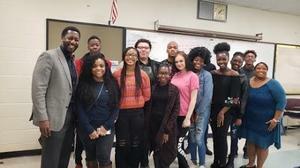 There's a news publication in Fairfield County that's been created by students. Sixth graders create cereal box and shoe box history in celebration of Black History Month. Beta Club, Honor Roll and Award winning students were honored at the 2nd 9-Week Award Day Program. Eagles Win Big at Beta! 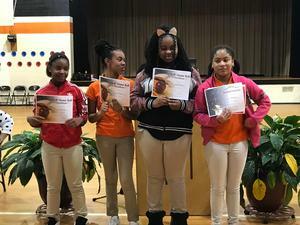 McCrorey-Liston Eagles win 7 awards at 2018 Beta Convention. Students can now borrow a Kajeet Smartspot from the media center. November 16, MLST hosted it's first annual Math Bee! Ms. Spearman is our teacher of the year. Ms. Rikard is our paraprofessional of the year.